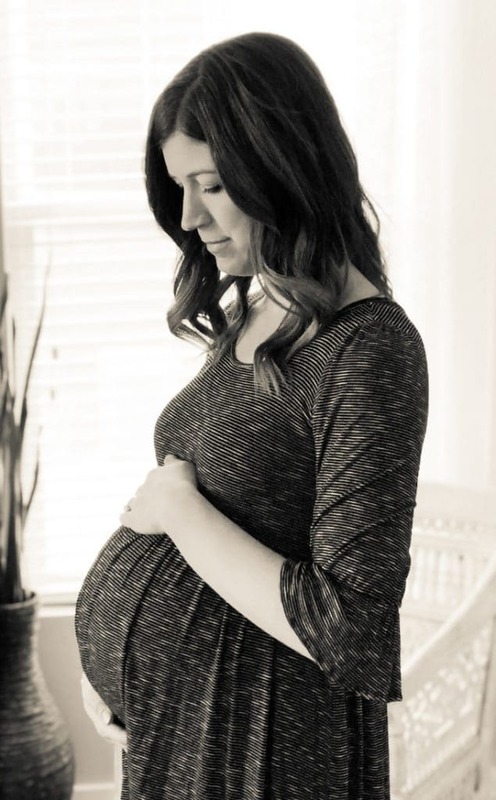 We are so close to meeting our sweet baby girl, and I am so ready… well kind of. For the first time since we started having babies I am equally excited and scared to welcome another child into our family! Excited for the obvious reasons…newborn snuggles, no more waddling, etc. etc. But scared because of all the changes that having a new baby brings to our family! So I’m going to dive right in and share some info about this super late stage of pregnancy! There’s always so much fuss about packing a hospital bag. But honestly, my list of “necessities” to bring to the hospital is not long or involved. After having 4 kids I have learned what I need, what I always forget (contact solution), and what my momma can bring me when she comes to visit. So here’s the list of what is currently in my bag (that is packed and ready to go), in case it’s helpful for you! Belly Bandit. This is always the first thing I put in my bag. I have used it after all of my births and couldn’t live without it. I put it on almost immediately when I get out of labor and delivery and up to the recovery room. 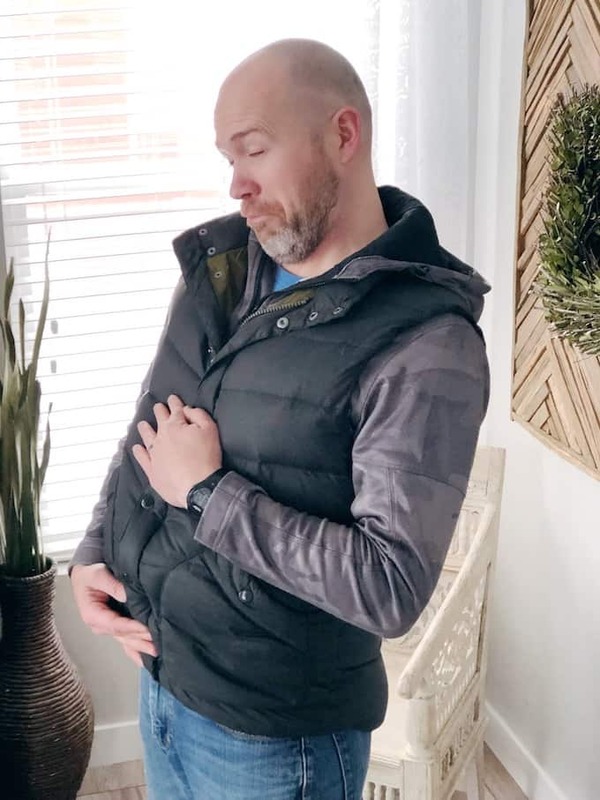 It supports your back, helps ease nursing contractions (which get more intense with each child…so I’m a bit nervous this time around), and holds everything in nice and tight which just feels more comfortable to me after having a big tight belly for 9 months! Toiletries. I always take a shower before we head home, and I can’t sleep without washing my face. So I pack face care products, shampoo, conditioner, contact case & solution, and deodorant. I don’t bring makeup (who has time to care about that in the hospital lol), perfume, etc. My goal is to get clean and that’s about it! Clothes for baby. This time I ordered a cute little newborn bundle in the color Ellie and this ADORABLE cream lace bow (that I am mildly obsessed with) from Lou Lou company. I have high hopes of snapping a few photos of this baby in the hospital while she’s still a sleepy newborn, but we’ll see if that actually happens. I also packed a warm sleeper for her to wear home. Phone Charger. Just in case! Glasses. For when those contacts come out so I can still see. Pajamas/change of clothes. Honestly my mom usually brings me clothes to wear home, but a couple of times I’ve been with it enough to grab some on our way out the door. I typically stay in the hospital garb (disposable sock slippers and all) until the bleeding subsides and I get to shower (because I don’t want to ruin my clothes)! Plus, as I’ve already said, I don’t care too much what I look like in the hospital! LOL! Camera. Need to snap some pics of that sweet newborn! And that’s pretty much it! It might come as a shock, but I don’t really care about snacks (I just eat the hospital peanut butter if I get hungry while I’m in labor lol), or music or anything like that. Another note…we try to only stay for one night because I much prefer to be at home than in the hospital. So I don’t feel like I need a lot! If you are getting a c-section or plan to stay longer, you may need more of your own personal belongings! Your labor will start when your baby is ready to be born. Obviously there are medical emergencies or situations that require induction, c-section, etc. However, I am a true believer that a woman should be given a due month rather than a due date. A window of time within 30 days that it’s most likely her baby will be born. 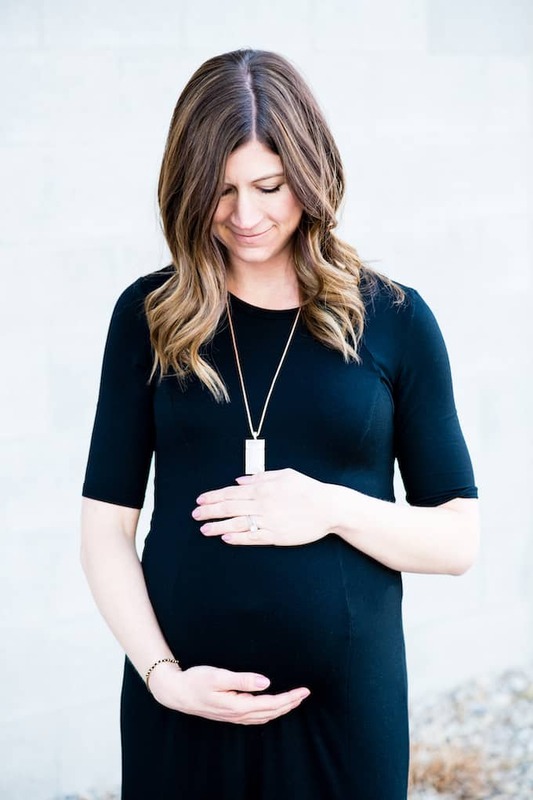 We become obsessed with due dates and our babies coming early that we often miss the beauty in the last few weeks of pregnancy (however uncomfortable they might be). This is the last time your baby will literally be a part of you. Cherish it. All that being said, I like to aim for unmedicated births, so I try to give my body the best advantage possible by getting it ready in any way that I can. I’m all about natural ways to prepare your body for the beautiful yet taxing experience of bringing another human being into the world! The methods below are not meant to induce labor, but to prepare it for labor by softening the cervix, toning the uterus, etc. etc. I eat copious amounts of pineapple and take evening primrose oil to start preparing my body for labor. If it can’t hurt why not give yourself the best possible advantage? Both of these things are supposed to soften the cervix! I also drink about two cups of Red Raspberry Leaf Tea every day and try to eat dates in some form or another! 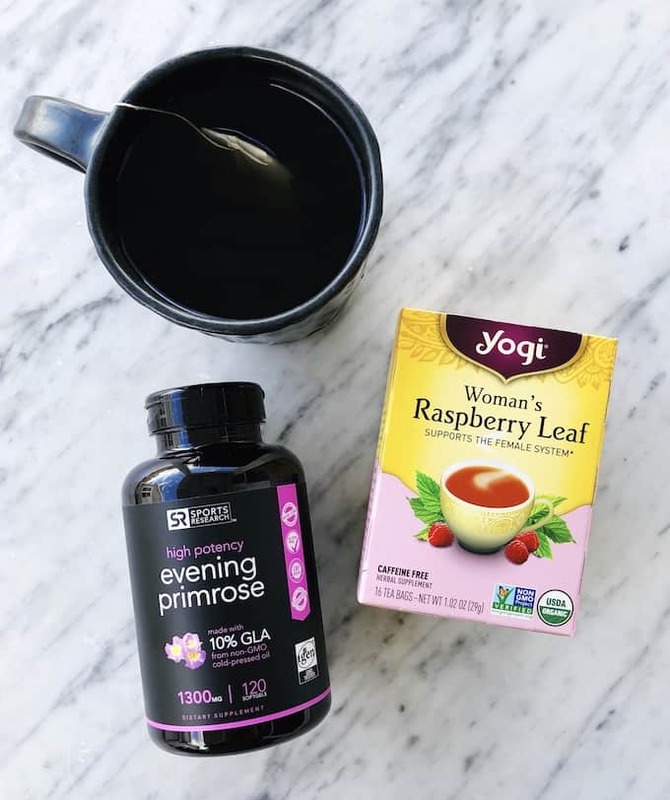 It is said that both of these foods help reduce labor time and the need for interventions by toning and strengthening the uterus. The ultimate goal of labor and delivery is a healthy baby and a healthy mom – NOT a specific type of delivery. As long as those two things happen nothing else matters. You definitely need to have an idea of how you want your birth to go, but remember….there is absolutely zero room for any one of us to look down on one another because we chose to bring our children into the world differently. Zero. Room. Ok, so now that I’ve hit 37 weeks (which is when Gabe was born), I have 110% sensed the shift in my body as it prepares to go into labor! I asked my doctor if she thought this baby was big, because the way she moves hurts, which I don’t remember experiencing before. Well, actually my husband says that I have said similar things about the movement at this stage with my other pregnancies, but I can’t remember (isn’t it amazing how much we forget)?! She is a roller for sure, and a kicker! This baby girl put on quite the show for our kids the other night! We were all snuggled up on our bed in the middle of our nighttime routine when she started kicking like crazy! We all stopped to watch and the kids kept putting their hands on my belly exclaiming, “She kicked me!” It was such a special moment, watching all of my kids get excited about the new baby, and a memory I will cherish forever. At the 37 week mark I felt like my belly got about as big as it can get. I started noticing I can’t do certain exercise moves or other simple things – like leaning over my plate at the table – anymore. LOL! I haven’t gained weight in about 3 weeks (which is normal for me in my pregnancies…I tend to plateau before birth), but my belly is definitely getting bigger and less flexible! 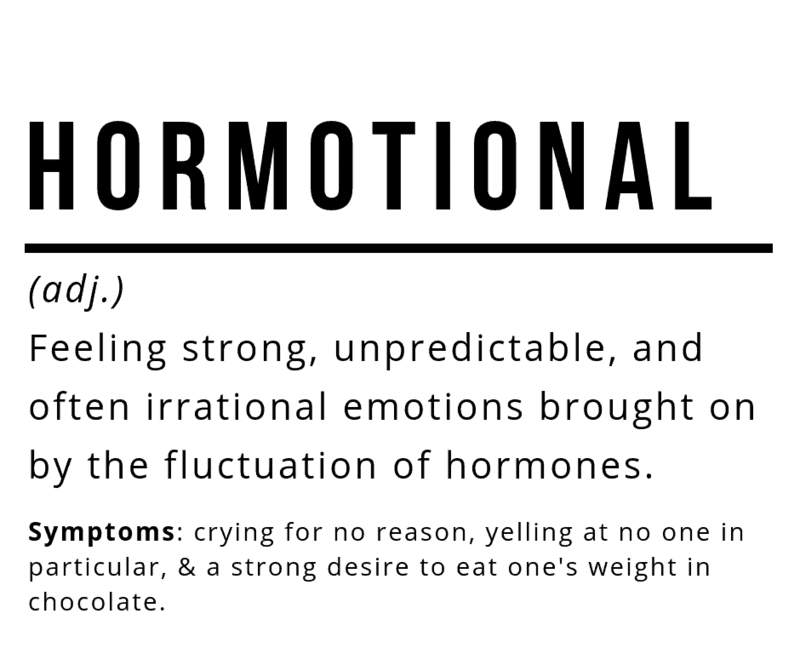 This has happened with all of my pregnancies around 36 weeks. I all of a sudden get extremely emotional, grumpy, easily agitated, etc. etc. I cry for no reason, yell more than I’d like to, and feel so many emotions in a given minute it’s hard for me to keep them all straight. This is always a good sign that labor is on the horizon, but I do feel bad for my family because I become a bit unpredictable (even to myself). Another sign of this hormone shift is that my digestive tract gets pretty loose (if you know what I mean). I don’t feel like eating much and whatever I do eat gets cleared out pretty quickly (TMI? Sorry)! Again, I just see this as my body getting ready for baby! I am still walking and doing exercise videos! I have to modify most of the videos I usually do at this point, but I love getting up and moving in the mornings. I have exercised up until the day before I gave birth with all of my kids, and I really think it has helped me have natural labors! We officially transitioned Mara out of her crib into the toddler bed and she did great. The next step is to transition her into the kids’ room (because we always give the baby her own room). I am not ready for this yet, but we’ll very likely do it this week! Mara keeps saying, “Baby, belly, see!” and lifting up my shirt. I try to explain to her (1 year old self) that she can’t actually see the baby because she’s inside my belly, but she doesn’t quite get it! She has been obsessed with babies lately, and whenever we’re out and she see’s one she points and exclaims, “BABY! BABY!” So I’m hoping she’ll be excited to have a baby around here, but we’ll see! I think the other kids are kind of tired of waiting (yes and amen lol). They can tell we’re preparing for some changes, but I don’t think they realize how soon it could be. Preparing our kids for baby’s arrival. We started talking to them about what will happen when we have the baby a few weeks ago. We explain that one day they will wake up and mommy and daddy won’t be here but someone else will (we have two different friends on call if this baby girl decides to come before my mom flies in). And that will mean we’re in the hospital having the baby. I’ve always gone into labor at night or in the very early hours of the morning, so this is the more likely scenario and the one that we have prepared the kids for. If it happens during the day (which would be amazing) we can explain to them where we are going! We’ve talked to them about helping out, being kind to each other, obeying, etc. etc. We always really lay it on thick about being good while we’re away because we want our kids to be a joy for someone to babysit, not a burden! Ladies, date your man! Men, date your wives! Even when you’re huge and tired and sore you need that time with each other before the baby comes and you enter into the sleepy newborn haze for a month or two. We are so grateful we have amazing friends who watched our kids so we could go on a nice long date this week. We walked around an antique store, ate dinner, went out for frozen custard, and just enjoyed being together. It’s amazing how much we have to talk about even though we see each other every single day (and have been married for 11 years)! We came home feeling refreshed and reconnected. At this point in pregnancy Ritch is always so great at encouraging me. I don’t always feel like a great mom (see hormotional), and I get so nervous about labor and delivery. But hearing Ritch say he thinks I’m good mom and he thinks labor and delivery will go well and that he’s excited to meet this baby girl makes me feel so much more at ease. Oh boy where to begin. No matter how many times I do this I always get super nervous about labor and delivery as my due date nears. All of my births have been so different, that there really is no telling what this one will be like. My stomach drops every time I think about going into labor, which is normal but tiring! LOL! A big difference this time around is I have zero preference about when this baby is born. 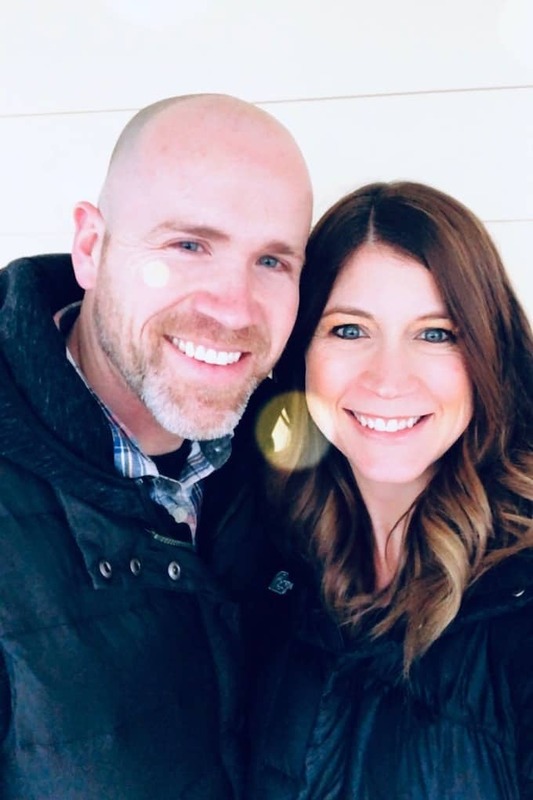 During my last two pregnancies I had specific reasons why I hoped they would come early, and even though they did I was super stressed about their arrival dates. This time I actually wouldn’t mind making it to February (I’m due on 2/4), although given my history (I’ve given birth at 38w, 37w, 39w and 39w) that seems unlikely to me! Bethany’s birthday is in January, so it’d be fun to have this baby girl in a different month for the sake space between celebrations. My mom flies in on the 29th, when I’m 39w1d, so I’m hoping to go into labor on or around then! She has had perfect timing the last two births, so I just know it’ll all work out this time too. We also have a much richer and deeper support system here in Utah this time around than we ever have in the past. We have two sets of friends who have agreed to be “on call” and come over in the middle of the night if necessary. I feel so grateful to have such good friends who are willing to help us with our other babies so we can be fully present at the birth of this one without worrying! Check out this post: Baby Registry Essentials List. This isn’t my first rodeo. I have had 8 years and 4 kids (almost 5) to determine what baby items we love. In this post I discuss why we chose certain items, and whether or not they might be right for you! 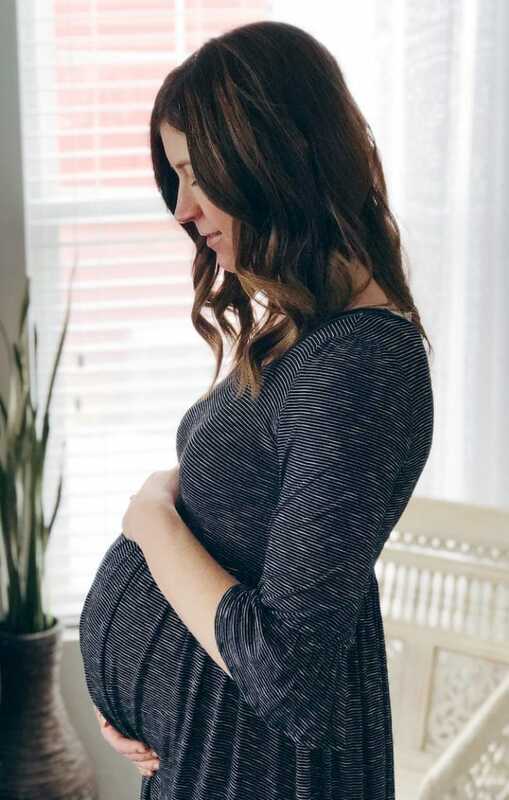 I took an entire year to write it after we had Mara, and I just refreshed it during this pregnancy so it can be helpful to you! Check out my extensive post on thriving postpartum ! 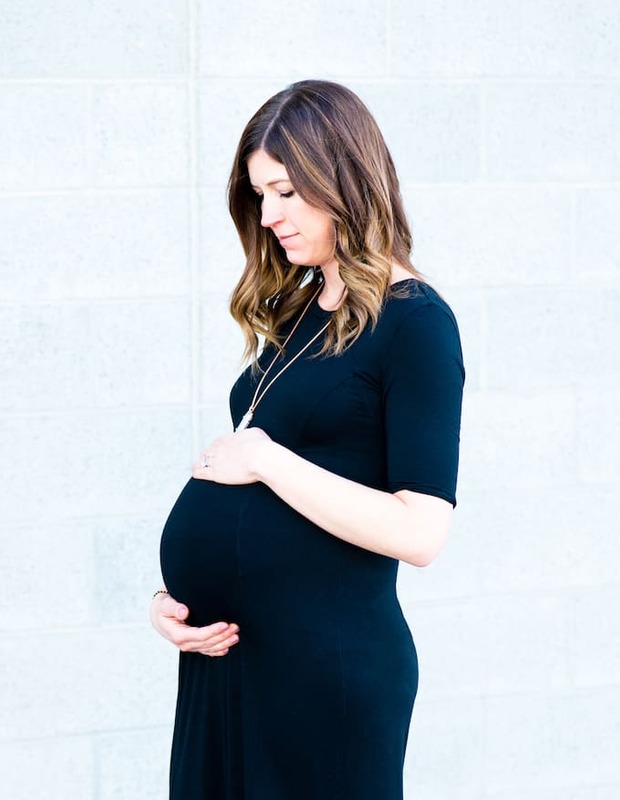 Also, if you made it this far you are in for a treat…..
Ritch always takes my maternity photos. He’s got a fairly decent eye and usually gets at least two pictures I feel good about using. This time we did our shoot in two different sessions, because the first one resulted in some “heated discussions.” AKA: I got mad that I looked like an awkward whale in the photos and that he couldn’t read my mind and capture exactly the image I wanted (read: hormone shift above). Well out of that tense afternoon came this gem of a photo that I will cherish forever, for ever-ever. Ritch’s maternity photo. LOL! So thankful for a husband who tries to understand how I feel and gives me so much grace in general, but especially during the last month of pregnancy. It’s so fun to be able to laugh at each other as we wait for this baby girl! Well that’s all she wrote (I think)! Please let me know below if you have any questions I didn’t address in this post! IF YOU MAKE SOMETHING FROM JOYFOODSUNSHINE I WOULD LOVE TO SEE YOUR CREATIONS! DON’T FORGET TO RATE THIS RECIPE AND LEAVE A COMMENT BELOW! ALSO, FOLLOW ALONG WITH ME ON INSTAGRAM, PINTEREST, FACEBOOK, YOUTUBE AND TWITTER FOR MORE RECIPE INSPIRATION AND A GLIMPSE INTO OUR EVERYDAY LIFE! Love the photo of Ritch! A great sense of humor, and being able to laugh at yourself are beautiful things. You must have a fun time on Date Night! I simply can’t wait to meet our newest family member! I’m sleeping with the phone right next to me in case I need to jump on an earlier flight. You look so beautiful Laura, and it’s not because I’m biased, it’s true. 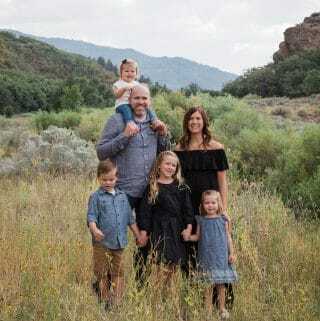 You are a phenomenal mom, and Ritch is the most amazing dad. See you very soon. Nana snuggles here we come! You look great, Laura! I am excited for you and I hope little girl is born on Feb. 1 – I have first hand experience that it’s an amazing birthday. 😀 And, “…my digestive tract gets pretty loose (if you know what I mean).” Um, yes, hello, I do! (raises hand) I thought I was the only one, ha! I wish you many blessings and peace in your mind until you get to hold your precious baby! (hugs) Lots of love from the Castros! Sending positive thoughts, prayers, vibes your way! Gorgeous photos! Thinking of you! Hehe. I totally chuckled at the picture of your hubby. And I really love just the amazingness of pregnancy. Truly mommas are sacrificing in such an incredible way for their families, when they bear their babies for 9 months, and then you love on them so well. Your children always seem so nurtured and joyful and happy. I will try to remember to pray for you as you prepare for delivery: it’s so exciting that baby is almost here!